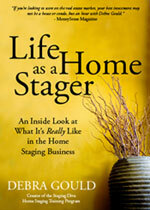 Staging Diva will be featured in an article on home staging in REALTOR Magazine, coming out in June or the July/August issue. This is THE print magazine for real estate agents in the US and will go a long way to spreading the word about the benefits of home staging to this important audience. the Staging Diva Directory of Home Stagers so that members of the National Association of Realtors will know where to find you! Staging Diva master bedroom and front door color recommendations will be featured in an upcoming issue of Home & Style Magazine. This article was originally slated for May but there has been a delay. Until something appears in print or on TV or radio, you never really know the date for sure. I’ll keep you posted as I know more!